As much as we love to buy local or American-made, it can sometimes feel like a burden if you’re in the market for something and have no idea where to find it. We get it. Hostess gifts and vegetables are easy to shop for locally. Plates, cups, and bowls – not so much. If you’re looking to stock up or give the gift of US manufactured goods this holiday season, 716 China and Restaurant Supply is here for you. 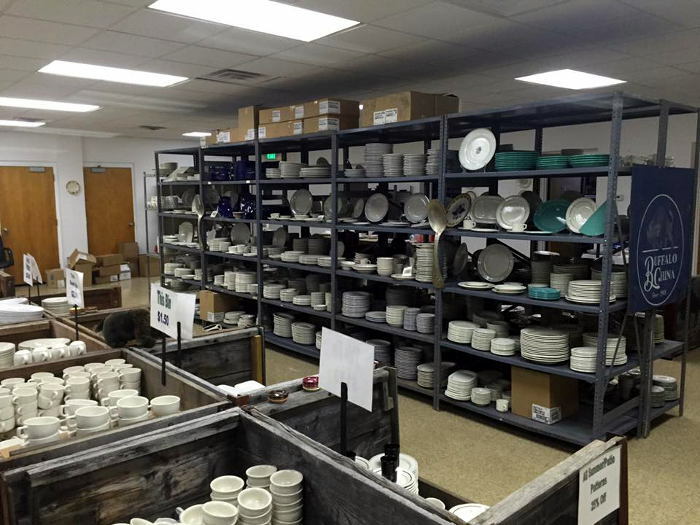 Originally established to liquidate the remaining 300,000 pieces of finished dinnerware from the former Niagara Ceramics plant in South Buffalo, the store now supplements Buffalo China with additional American-made dinnerware in an effort to fund the redevelopment of the shuttered manufacturing complex. The idea is to bring a variety of new businesses to the space, resurrecting it and American manufacturing, from the brink of death. A nobel cause if we do say so. 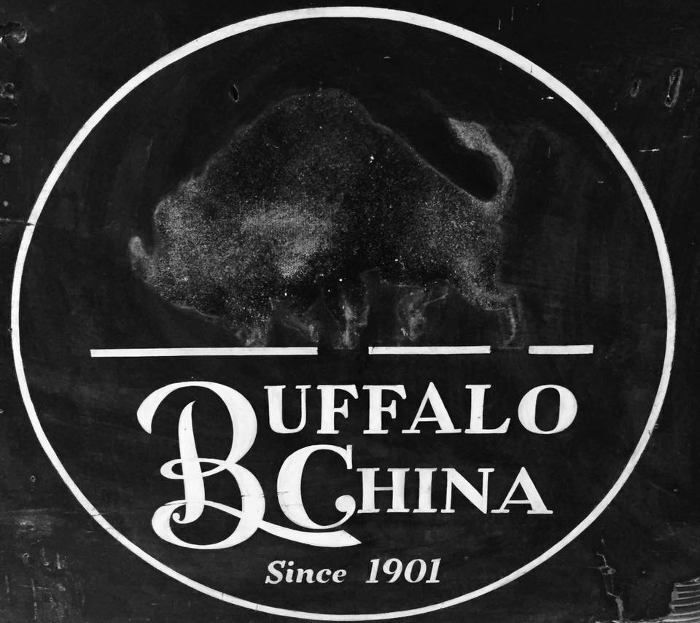 A little background here – Buffalo China was originally founded by the Larkin Company in 1901. 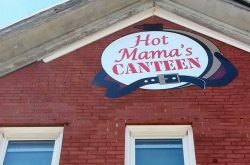 Over the years, the plant cycled through names and owners, including Buffalo Pottery, Buffalo China, Oneida, and Niagara Ceramics. The facility, originally built in 1903, expanded to over 350,000 square feet and became one of the largest producers of dinnerware in the world. However, forced to compete with low cost, low quality foreign made products, this and many other American producers were shuttered. 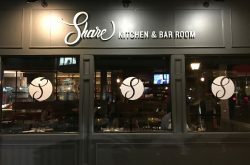 Shuttered despite the fact that the products were, and remain to this day, the most durable and best quality dinnerware in the world according to 716 China. 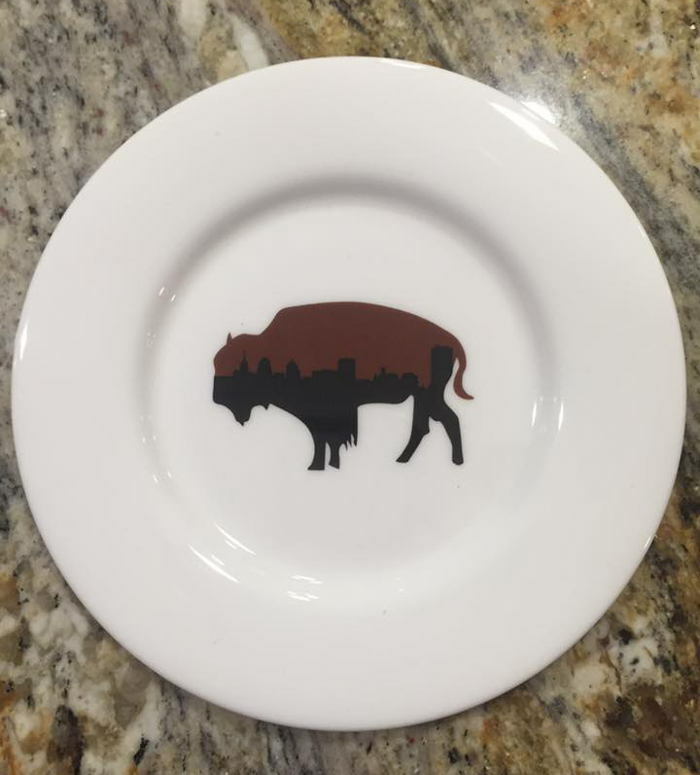 The Buffalo china sold at 716 China is part of the original collection which includes plates, mugs, and serving platters – now adorned with a lovely roaming buffalo pattern. They are a rare find, as they’re the last of their kind and make for a fantastically nostalgic gift for anyone who a. was around during the heyday of Larkinville, b. has an affinity for American-made goods (don’t we all? ), and c. loves Buffalo and stuff with buffalos on it. Did we mention everything at 716 China is seriously discounted? 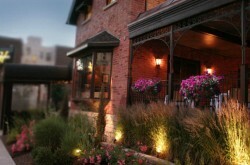 For more info on 716 China go to 716china.com and follow them on Facebook.